There is still space to attend! Please bring exact cash to register onsite at the Annual Reception. The Tamer Center for Social Enterprise cordially invites you to join us for an evening of networking and socializing with fellow alumni, faculty members, students and professionals in the social enterprise sector. We will award April Tam Smith ’10BUS, Co-owner of P.S. Kitchen, with the 2018 Social Enterprise Leadership Award. April will give her remarks during the reception. Please consider giving to the Social Enterprise Summer Fellowship Program, which supports students engaged in summer internships that create social and environmental value. 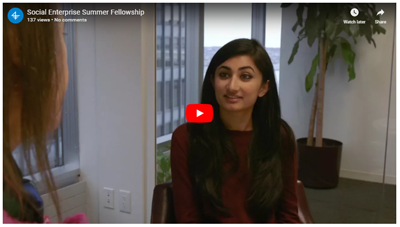 Summer fellows have interned with local and international nonprofits, NGOs, and social ventures, including the Robin Hood Foundation, the NY Department of Education, Enterprise Solutions to Poverty, and Endeavor. Please give online. These fellowships not only provide organizations with much-needed talent, but they allow students to apply their skills to practical issues faced by these organizations. Read more about the summer fellows’ internship experiences. April Tam Smith ’10 has been at Morgan Stanley for the last 12 years and is currently an executive director on their equity derivatives team. Her “other life” outside of Wall Street consists of serving at various high impact organizations in NYC, including Defy Ventures and Restore NYC, and living life in a generous and adventurous way. Over the past few years, she has served at orphanages in South Africa and Haiti, often bringing friends from work or church to experience the beauty of the Haitian community she came across in the Northwest region of Haiti and Port Au Prince. These experiences from overseas have planted a deep seed in her to be a voice for the poor and fight for justice while leveraging her Wall Street life where resources to make a difference are found abundantly. Her goal is to connect her two worlds and use these assets (physical and social) to organically create a ripple effect allowing more people to be involved in creating jobs for the poor. She strongly believes in giving a “hand up” in addition to handouts. This led her to open P.S. Kitchen in Midtown Manhattan, a social enterprise that uses 100 percent of its net profit to fund justice work while providing jobs for marginalized communities in NYC. 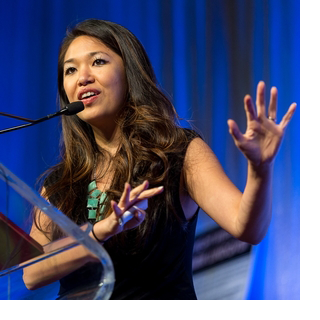 April received her bachelor’s in engineering at MIT and her MBA at Columbia Business School.